An ideal plant for growing in containers for the smaller garden, due to its compact free flowering habit. It is also a superb plant for growing in the garden on a tripod in a mixed border or through free standing or wall trained shrubs or roses. Its deep pink flower colour allows it to be grown with any other coloured flowering or foliage plant, but it looks exceptional with grey foliage. 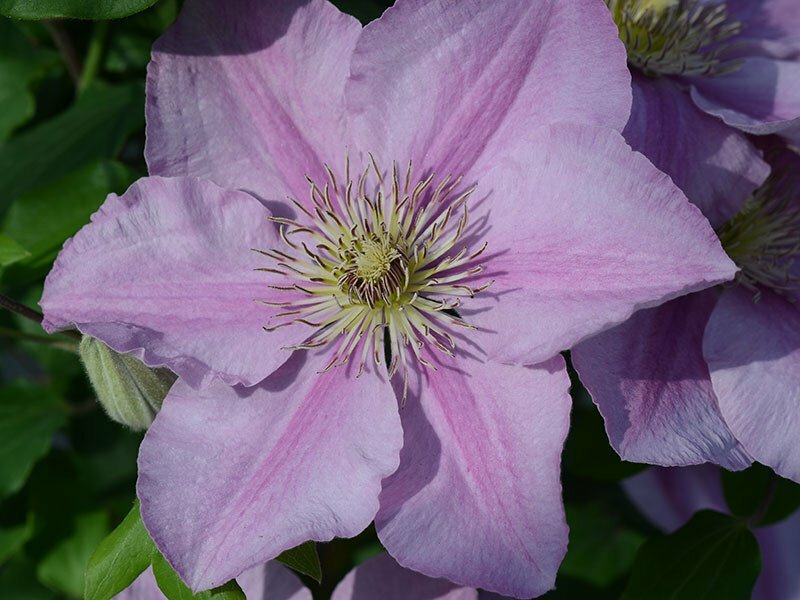 Most other pink flowered clematis are recommended to be grown in a shady position to avoid premature fading of the flowers, Endellion is an exception to this rule as it holds it colour well in direct sunlight. The rounded flower has six deep pink sepals, with a broader central deeper pink band and contrasting light brown anthers, with a prominent style. Each sepal has rounded tips. It is an extremely free flowering plant.